A re-post for Mother’s Day. Happy Mother’s Day! First off, I have to apologize for using the most overused title in all of women’s literature. For many reasons, this is a subject that is often discussed and will never be resolved. Women ask me all the time, “How do you do it all?” For the people who really know me, this is a funny question because I don’t really do that much. It is a lot of smoke and mirrors, truly. This is especially true compared to the women who came before me. I have six kids. My mom had seven. From the time she was 22, until the time she was 53, she had children that needed raising. She had no formal college degree and no work experience to speak of, even well into her 30′s. But when my dad finished his education and went to work for the IRS, he was not allowed to work a second job, so Mom went to work outside the home. She applied at a Piece Goods store, something she knew about because she sewed all our clothes for years. That was the beginning of my mom’s life as a “working mom.” It was the 70′s. She was not alone. I’m about to turn 39 in a few days. The first time I was aware of my mother’s age was at her 39th birthday. I was five years old. My youngest is now five. This was near the beginning of her working mom days. I have never been to college or had a job. Well, not since I filed and answered phones for an insurance office my senior year in high school. I have wondered if I could do what she did, and she would say, “of course you would if you had to, like I did.” But becoming the manager of a store is not exactly having it all, granted. Later, my shy mother would take on a sales job that was totally out of her range of experience. She would go on to be very successful at her job, even making more money than my dad for a few years. It was the 80′s. She was not alone in this either. I was entering my teens and I knew my mother did not like this job most of the time, but she was very good at it nonetheless. It was a time when we needed that income for college for my sisters and all the things teenagers need. I really don’t think I could do that, but she would tell me I could, if I had to, like she did. But again, a door to-door, drive-all-over-the-territory, fill-out-Saturday-paperwork job ain’t exactly having it all, I know. In 1988, when I was 17, Mom landed the perfect job for her. She became a tour guide for a local bus tour company. Mom has said many times that raising seven children uniquely prepared her for leading retirees around all over the country. She got to travel and make money doing it. She got to take my dad with her occasionally and she got to visit her children and grandchildren around the country. She was loved by everyone who traveled with her. She had been preparing for this all her life, raising children, managing a store, going door to door until the shyness was no more. She was in her 50′s and she got to see the country and have a great time doing it. This I’m sure I could not do, no matter what you say, Mom. My mom is a praying woman who leaves the worries of this life to a mighty God. She was 39 like me, with no IRA, no 401k, probably not even money in a jar anywhere. Now she has been retired from the travel job for years. At 70 years old, she and my dad celebrated 50 years of marriage. She enjoys her grandchildren, bakes cookies, visits the nursing homes, gets her nails done, and does needlework. That may not be your dream, but it is the very definition of fulfillment for her. At no one time did she “have it all” but if you add it all up now, it is more than she ever dreamed. Knowing all this history about my mom has always helped me not to panic about what I don’t know or haven’t done yet. I feel sure there is a plan for me and I try to stay ready for what I am meant to do. I’m pretty sure, I’m meant to have it all. Giving your child a bath is right up there with reading them a story or fixing them a meal. It is wholesome and good and loving. You can talk or play. You can nurture and bond. You are not required in the least to give your child’s bath a theme! Get them clean without getting soap in their eyes and you are mom of the year. Bonus points for having a clean towel on hand. Did you know the American Academy of Pediatrics recommends one bath every four days for your child? Four days! Themes were not ever mentioned by the AAP. File this under No. Today I’m restarting my blog with a new focus and a new mission. A coalition. This new site will be a place for parents who are ready to say, “enough is enough” to any number of pressures coming against their ability to parent their children. We are increasingly living in a Pinterest-project, Facebook-posting world with an audience of critics. I want to provide an on-line safe haven for those who want to opt out of all the madness and just raise their kids. I’m certainly not anti-Facebook or anti- Pinterest ( I have over 3,000 pins) but too much of it is plain ridiculous. The power of “Yes” is a big topic these days, saying Yes to life and being positive and all that. I am a positive,optimistic person and I will say Yes to opportunities and I will try new things on a whim, like this blog for instance. But, I believe strongly in the positive side of No. No is freedom. No is hope. No is the guardrail that keeps you from the ravine. No is the Old Testament that leads to the need for the New. No is life. 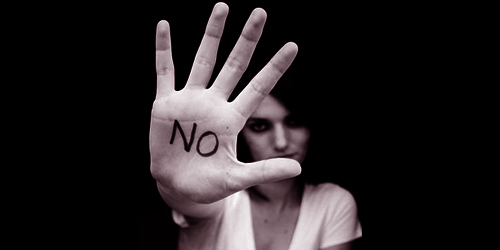 To say Yes to something means you say No to something else. I want to bring back the power and beauty of No to parenting. We don’t have to say Yes because the other parents do. Especially if we all start saying No. The kids are starting to rule because parents can’t or won’t say No. Let’s join together to turn the tide. We won’t dominate, hover or helicopter. We won’t break spirits or do any of the damage done to us that makes us so afraid of No. We can bring an end to hearing that so-and-so’s mom lets them do this or that. We can stop giving elaborate, expensive birthday parties.We can stop giving out goody bags to children who are privileged enough to attend the parties we give. 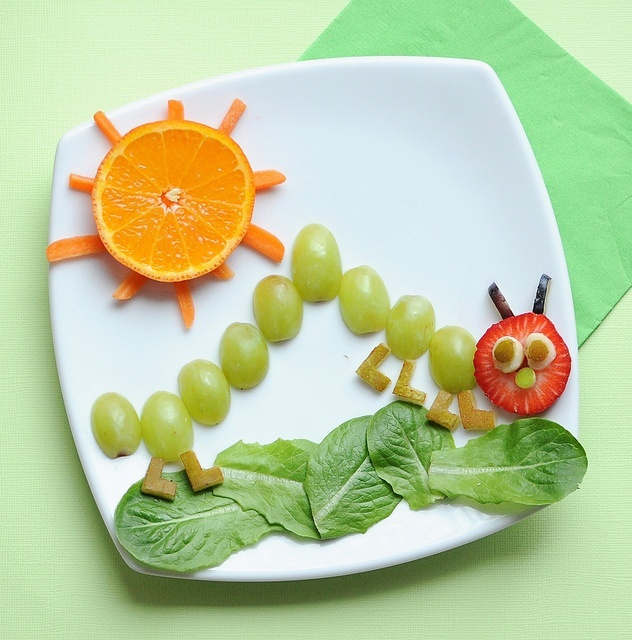 We can resist the call to pack lunches in the shape of cartoon characters or arrange a snack plate to form a caterpillar. There are so many things we can opt out of if we simply take the time to dial it all down a few notches. Let’s get to it. I only get out six plates for dinner now. I used to have to think through who was working or out with friends and then do a little math, ending up with six or seven or eight. Now I just get out six plates. This is not enough and it will always be a little bit sad. Another daughter has already moved out. She didn’t plan to, but daughter #2 slowly weaned us off her presence by being gone more and more. Turns out to be a merciful way to adjust. One month ahead of her wedding, she moved out to what will be their apartment together. My oldest moved out after her wedding, so this was new for me. Her apartment complex looks so nice from the road. Is this a good thing or does it make her a target for burglars? There are lots of people milling about around there. Is this a good thing or does it mean more possible criminals to keep an eye on? Everyone around her seems nice, but you know it’s always the nice quiet neighbors who end up on the news. These are the crazy thoughts that play tag in my head when I visit her. As for the weddings that lead to all this moving out, I don’t think I can write on and on with wedding advice. Weddings are like babies; the first one makes you frightened and full of plans and advice,big on schedules and obsessive to details. The second one just makes you realize how much you don’t know, how much help you need, and how tired you are. Especially if you have two in one year. See? Just like babies. So fitting that it works this way with my first two babies. Their weddings will be a reflection of their very different personalities. Annie’s was bigger, including anyone and everyone. It was spring and pastel and in the big woods. Lydia’s will be smaller, intimate, with warm colors and inside a small chapel – downright cozy on a fall day. Like with children, one is not better than the other, just very different. One very incorrect assumption I’ve run into is that I don’t miss one child because there are so many left. Of course this is not true. Each child leaves a void when they go. I will always miss them. I miss every stage of them. I miss little pudgy Lydia and grown woman Lydia. At least I can call and visit woman Lydia. Then there’s the bonus of her husband-to-be. He is the perfect fit for our crazy family. We could use another brother or two around here, so we are loving the addition of two big brothers in one year. 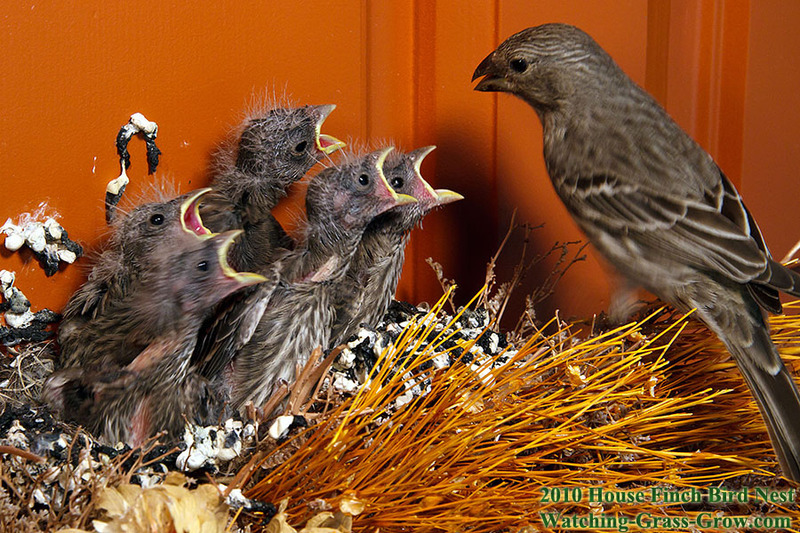 Even if they are to blame for this emptying nest. When you are falling in love, you hear every song as a love song. When your kids are moving out, you start to hear things differently. I have always loved the song “Missing You” by Amy Grant. It always seemed like a melancholy song about lost love. Now I’m thinking Amy penned this one when her first child moved away. Listen to the lyrics and see if you agree. Yes, I know that is not Amy Grant, it is Alanis Morrissette, but it is the only link I could find. Looking at her face while listening to a very tame Amy Grant will just have to serve as comic relief for this sad song. Isn’t is ironic? I have tried to explain to my friends who still have toddlers how much different life is when everyone is your house is older than five. The change sneaks up on you til one day you look up and smile, realizing you have had a complete thought, a complete meal, or best of all, a complete night’s sleep. Your brain is freer, your body is less tired and your whole system is less stressed when the little ones around you are not as prone to kill themselves or someone else all day, every day. One day, you actually forget what all the stress was about. It’s true. Even more true if you are staying at home with them all day. When I think back to the days of endless spills and crying and bodily fluids and sleep deprivation, I feel so tired for the ones going through it now. It is just plain exhausting. I remember if I try. 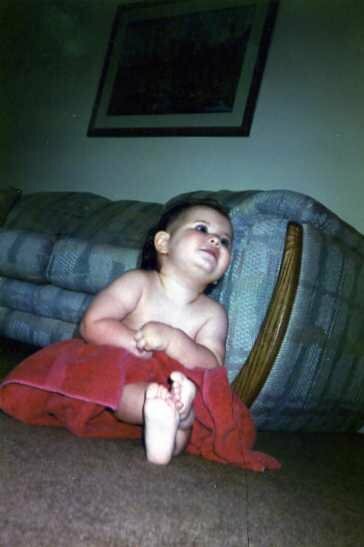 I was a walking biohazard for years. I think I sat on a couch nursing for an entire year of my life, with all the chaos swirling around me. I think I did – it’s kind of a blur. This what going to work feels like - in comparison. she begins to wonder if the pressure of being worried, tired and unsure of what she is doing can be outsourced to others who seem to know more. When you are new to mothering, daycare workers seem like effortless experts. It is tempting to go back to doing what she knows how to do well at work, for a fixed number of hours a day. And getting paid? Who doesn’t want to go back to getting paid? I know a lot of moms think they will go back temporarily, until that magic someday when all is right with the world and they can try staying home again. Then they slowly get stuck needing that paycheck to pay the bills they have and they secretly think they don’t have what it takes to be a full-time mom anyway. Everyone supports the usual choice to work, but it is much harder to find people who support her right to “sit home all day” or “struggle financially” or “shelter her children from the real world”. So, even though she wanted to be a stay-at-home mom, she lets that dream die. She is weary. This is the most annoyed she ever got. When I had only one child, I lived 20 minutes from everything and everyone. I had no television and no car. There was no internet or texting. My husband worked all day and my friends were all at college. We were even without a church for a time. I read a lot of books and talked on the phone a lot. (It had a cord and everything.) 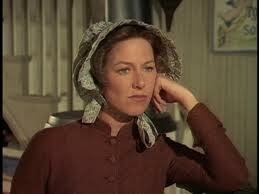 I was basically Caroline Ingalls as to isolation, but without her grace and patience. My daughter was easy to raise and our schedule was regular. I was lonely and poor, but I had no options for work. I only had a high school education so any money I could make would be lost to daycare anyway. I got weary of the isolation and repetition of my days, but I had no options. I know I would have caved to the lure of a paycheck or a car of my own or a group of friends at work in civilization. 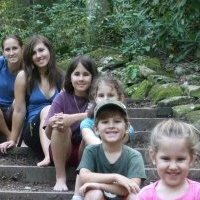 I was forced to stick to my dream of being a full-time mom. For that, I am grateful. There is a reason the Bible talks about the older women teaching the younger women to be happy at home. It doesn’t come naturally to our restless spirits. It is a skill that develops over time. Women who leave work to stay home with their kids are surprised by how difficult it is and often say work was much easier. Without support, the weariness can win out, leaving a desire to escape it all, even to work at the place she thought she wanted to leave. A professional, successful mom once told me, she couldn’t wait for Mondays, when her nanny comes and she goes back to work. I looked at her in stunned disbelief, but when I thought about it more, I could see that her weekends are probably a time when she feels out of her depth, from lack of practice and experience with her own children. It is a sad truth that can play out if we don’t stick to our desire to stay home, even when the times get really rough. I was inspired by this verse: Galatians 6:9 Let us not grow weary while doing good, for in due season we shall reap if we do not lose heart. It doesn’t say, don’t grow weary because it is a sin, or don’t grow weary because that is for losers. It offers the long view we all need to see us through. The promise. In due season, we shall reap. The sowing is tough, no doubt about it. But the reaping, the stage I am beginning to see now, is more than worth all the isolation, financial struggle, and missed sleep. For those of you who want nothing more than to be at home and raise your children, do not lose heart. Press on and keep the reaping season in view, knowing you are raising His child. My memories of sleepovers are probably like yours, eating, laughing, gossiping and not sleeping. I’m not sure why I loved spending the night somewhere other than my home. I sure don’t like any bed but my own now. But, back then I was willing to lay on a hard, cold floor, staying up all hours and having a great time. Recently my husband and I have started wondering if all-nighters are good for our kids. Physically and emotionally, they are a mess when they come home from eating junk, drinking caffeine and missing several hours of sleep. 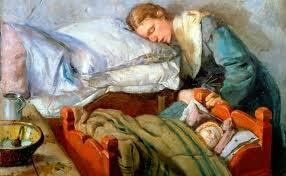 At first we would allow them to sleep over on the condition that the parents of their friends insist that they sleep. We later found that our kids would fall asleep at a reasonable hour, only to wake up in the wee hours and the parents in the home would have no idea that my child and their child were awake for hours while they slept. My husband asked me this question, “Would you let our child go play during the day at a house where the parents were asleep all day?” The answer was no, of course not. I know my children could stay up much longer than I could. They will outlast the adults every time. 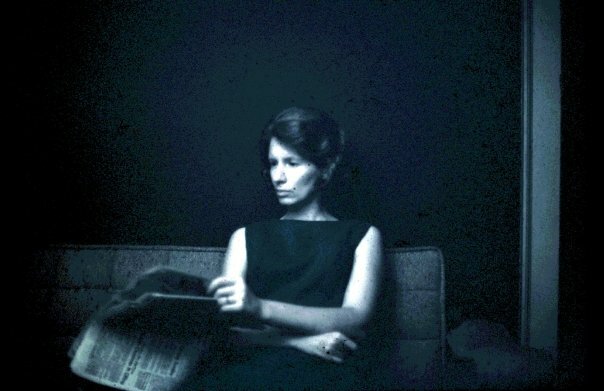 Even for our fairly sheltered children and their sweet, fairly innocent friends, we have found that the middle of the night is when they will try out bad words they have heard, misinform each other about the birds and the bees, and ruin everyone’s sleep for a month with a ghost story that is not easily forgotten. I can only hope they are scared and not fascinated by what they are looking at. questions, but without an adult present to help guide them through such a tough topic. During the day, the mom or dad would be able to intervene and bring some truth to these common questions. Because of our experience, we have put a halt to spending the night with friends for our kids. We started to feel like we were leaving them on their own in places where they would not feel comfortable enough to wake an adult if they needed one, or to call us in the middle of the night. This leaves us feeling like we are leaving our kids to fend for themselves any hours they are not sleeping and not under the care of an awake adult. We have lived in this town long enough to know our kids’ friends well, This is not about being concerned about the character of the kids or their parents. We already knew that the parents we leave our kids with are great people that we trust. But even the best of parents can not supervise while they are asleep. This is more about not trusting children to be left to their own devices. It was a tough call but one I feel like we had to make. I would love to hear from other moms on this topic. This is new for us and it is hard to explain to our friends and to my kids’ friends. What rules have you made for sleepovers at your house? Do you feel completely comfortable leaving your kids with their friends? What age did you start with sleepovers for your kids. Do you get up in the night to check on kids at your house? Let me know how it works for you in the comments section below.